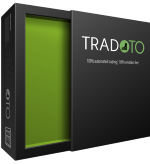 TRADOTO is a feature-rich fully automated trading software that leverage many different trading modes on any markets. We let you access our strategy through a monthly or yearly subscription or own it with a perpetual license without recurring payments. Our low cost subscription licenses is a strong indication that we have full confidence in our strategy long term results, sign up today and see for yourself. What is required to start? There is no additional cost to use our strategy in Backtest, Market Replay and SIM with real-time market data when you use our recommended platform, NinjaTrader. After a few months of LIVE trading with great results, we recommend migrating your platform in the cloud for greater reliability/uptime and reduce your slippage with a server located closer to the exchange. This cloud hosted solution also lets you easily remote access your TRADOTO platform from anywhere, even your phone. We recommend at least 3GB memory and a CPU with 2 cores, our recommended Virtual Private Server (VPS) provider is VPSSERVER which offers those hardware specifications for as low as $29.99/m. Why do you offer a monthly plan? We offer a monthly plan because we think this is the best way for traders to learn how to use our program and to evaluate how it fits in with their style of trading without having to make make a large, upfront commitment. The monthly plan gives you access to our fully functional unrestricted strategy with all the necessary resources, and technical support. 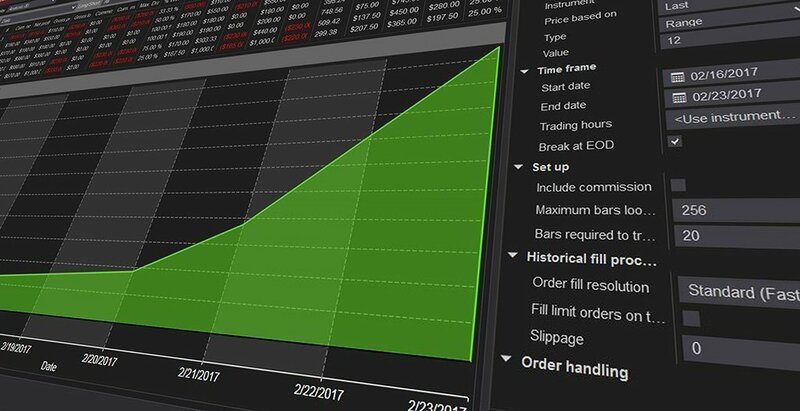 Traders who take advantage of the monthly plan will have an opportunity to review and evaluate all features of the software and understand the associated trading techniques. The monthly plan is also an important indication that we have full confidence in our software. Why not keep the strategy to ourselves if it’s profitable? We get this question a lot. Our strategy comes with four different trading modes, 50+ inputs and millions of configuration possibilities to let members precisely tune our automated strategy to their risk tolerance, trading style and capital size. This means that our strategy is unique to everyone who trade with it. Our team and members only make use of a few configuration possibilities out of millions and trade those configuration on small number of instruments/market making it extremely rare for two members to be conflicting with each other, and even if that happened it wouldn’t really impact them unless they were using huge size which would introduce slippage. In other words, a conflict is 99.999% unlikely. So why not share our work with the trading community to let everyone access the power of emotion free trading and become profitable thanks to perpetual discipline. What financial markets can I trade? Our strategy can trade all type of markets: Futures, Forex and Stocks (Equities). You will need to decide which markets meet your preference inclusive of time zone. Ideally, one market as a start and more when you get familiar with the strategy (there are no limitations on the number of markets you can trade simultaneously). How can I learn to use TRADOTO? A comprehensive Starting Guide and Manual is available from your account after being registered. You can also reach us for support via livechat and email anytime. Can i run the strategy on multiple instruments simultaneously? Yes, our strategy can be enabled on multiple instruments concurrently, there are no limitations. The newly released NinjaTrader 8 platform allows our strategy to achieve greater performance and flexibility than ever before. Out of the box, NinjaTrader 8 incorporates over 500 changes and enhancements, largely collected from client feedback. This new version is ready to deliver the most advanced trading features for automated traders of all levels trading stocks, futures, and Forex.